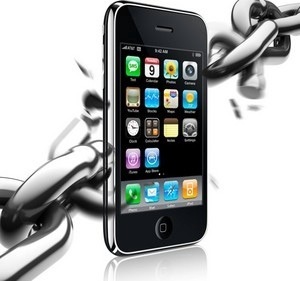 By now allot of you have already heard about jailbreaking. You have also heard many positive and negative points about it as well. If your not scared to attempt this you could run a slew of third party apps that allow your phone to do some amazing things. Once you have done this the big question is… Now what do I do? If your new to this type if thing there a few things that need to be known. One is that if you want to use themes install a package called “Winterboard” this will allow you to activate the themes once you download and install them. Next are some security precautions. You will need to install OpenSSH then MobileTerminal. In MobileTerminal there are commands that need to be typed in to allow the changing of the devices “root” and “mobile” passwords. This is to prevent someone from remotely hacking into your device. If the Jailbreakme.com method was used to jailbreak the latest version of PDF patcher will also need o be installed. This will close the exploit hole that was used for the jailbreak hack to work and also prevent the device from being hacked. So that just barley begins to scratch the surface. If you decide to jailbreak you should conduct some research and not just jump into it without understanding what the consequences could be. There is allot more to it but I will not go further at this time. If you would like to know how to jailbreak your idevice here is a “how to” from PC Advisor.